Interested in learning how to start a YouTube gaming channel? Perfect! YouTube is an incredible platform to showcase your gaming skills, share your opinions and even stack some bills. In fact, some gamers have been so successful on the video-sharing platform that they’ve been able to turn their YouTube channel into a full-time career. Gamers come to YouTube looking for advice and inside information on how to gain an advantage over their opponents, while other gamers just enjoy watching others play to see what their style is like. Today there are thousands of YouTube content creators rising to the occasion to meet this demand by creating gaming-based videos that their fans love watching and sharing with their network of friends. Growing a channel is one of the hardest parts of becoming a YouTube personality. There is a lot of competition so you have to bring something new to the table and brand yourself as either smart, helpful, funny or informative — and above all entertaining! Below are six essential tips to guide you through becoming a rising star in the universe of YouTube gaming. Is Your Dream To Start A YouTube Gaming Channel? 1. Gather the right tools – start with software! Before you start a YouTube gaming channel, you need to understand the tools. Most videos are shot through a camera, although some are shot through a laptop depending on what kind of content you feature in your video. Everything starts with video editing software. It is definitely a necessity to keep up with the competition. 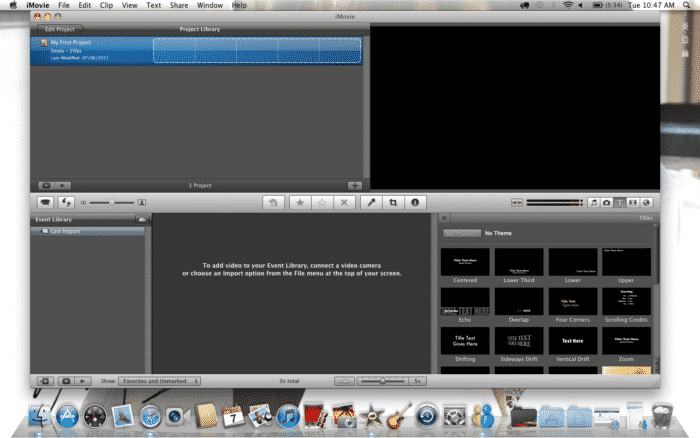 Some gaming channels use Windows Movie Maker, or iMovie for Macs, that allows them to edit and customize their footage. Many YouTubers are known for their incredible edits and becoming a skilled editor is definitely something that can give you a competitive advantage. One option many YouTubers choose is recording themselves instead of the gameplay footage. This is a great option because it brings a personal touch to the video. Viewers are able to see your passion on the topic and connect with you easier. A talk show or news-oriented format can still be a gaming channel if the conversation and content you have is video game related. To be able to record video game footage, you will need game video capture software. If it is on a console, you need to add a capture card on your computer that connects to a display cable. Certain YouTube gaming channels feature podcasts with other known gamers where they discuss interesting topics and explain their opinions. 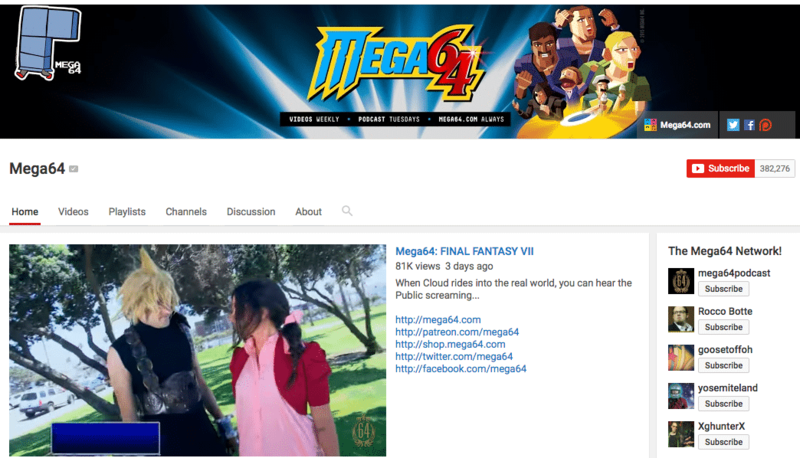 As an example, YouTuber Mega64 has a popular podcast that attracts a large amount of listeners. These podcasts are usually meant to inform the viewer, while also making them laugh. If this is the case, only a microphone and editing software will be needed, and you won’t need a capture card or game-capture software. Yes, your competitors are buying views. If you want to give your new channel a jump-start, be sure to check out our resouces so you can buy YouTube views safely. When first starting a YouTube channel, the biggest problem you will face is not posting enough videos. To many YouTube viewers, you’re a noob because you have yet to prove yourself as a YouTuber. Your mindset should be to produce as many videos as possible. Making 1-2 videos a day is what many successful YouTubers do. Because they are able to produce quality content consistently, their following grows and they are eventually able to make a living from their YouTube channel. 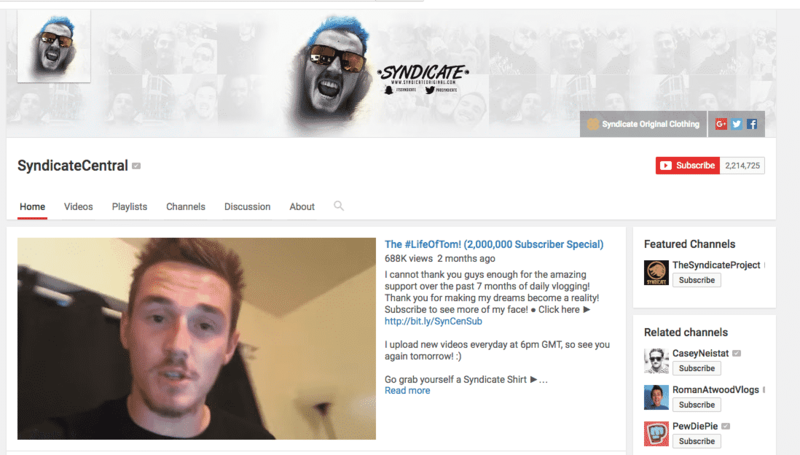 For example, SyndicateCentral has grown his YouTube channel to over 2 million subscribers by posting videos daily. His consistent content is one of the things his loyal fans love about his channel. Even the most successful YouTube channels had to start somewhere. Patience and consistency are the two biggest factors when starting out. As you continue to make videos, the overall quality will increase and more people will notice. Viewers may notice one of your videos, make their way to your channel, and realize you have created consistent quality that they enjoy viewing. More times than not, this will lead to a new sub. People are always looking for YouTube videos on specific games. You have to keep at it and even if you only attract a few unique viewers each day, it all adds up. If viewers do not like the videos, some will leave comments explaining their reasoning. Make sure you listen to them! That will give you an idea of why people don’t like your video and how you can modify the next video you make. Listening to your viewers and taking an interest in their feedback is a great way to keep them coming back to watch more. Viewers love consistency. They will start to expect a consistent style of how your videos are made. If you are doing a good job, they will want to see more. If you stick to a schedule and notify your viewers when videos are released, it will produce excitement and expectation of when the next video will be out. 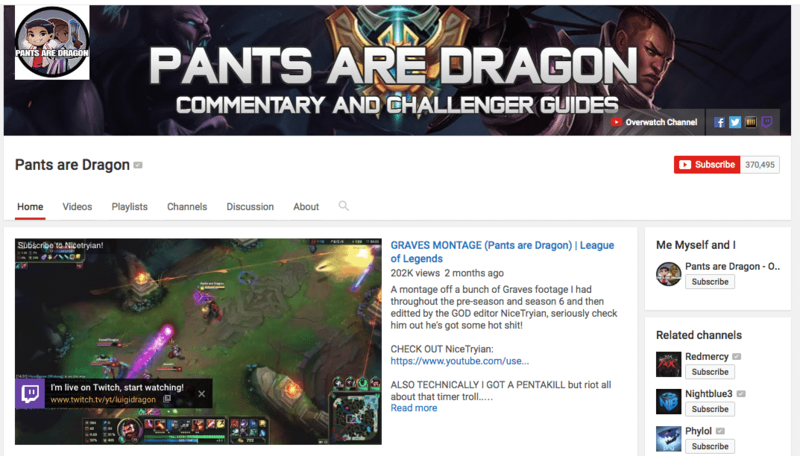 Many YouTubers will inform when their fans can expect new videos in their channel art banner. This notifies viewers that you make consistent videos on schedule, and prompts them to subscribe. You can also put this information at the beginning or end of your videos. Garnering traffic from social networks is key to gaining viewers and potential subscribers. When you link your video on social networks, people have the ability to share, like or retweet them with their friends and followers. When you make something really great, people tend to share it to help spread the visibility of the video. If you use Twitter, use hashtags that people who are interested in a topic can search for, and find your tweets and links to your video. When building a YouTube channel, the goal is not just to gain views, but also to add subscribers. Attaining subscribers is very challenging, especially with all of the competition out there. In the long run, YouTube Subscribers are more valuable than views because they will keep coming back to watch your videos as you post more. Although views are ultimately the goal for making money through ad revenue or promotional videos, subscribers are loyal viewers who receive a notification every time you upload a video. As your subscriber count rises, the views on your videos will grow as well. PewDiePie’s channel is the most subscribed on YouTube, with more than 45 million subs. He became famous with his Let’s Play video style, and has grown into a YouTube entertainer for his Bro Army. 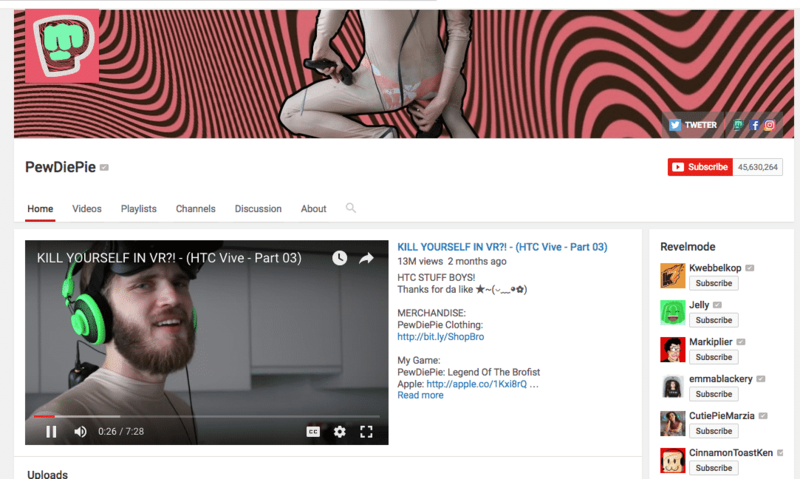 Note how organized Pewd’s channel is: consistent coloring with the branding, logo as profile image, and a banner and intro video that (scandalously) advertise his latest take on video, Virtual Reality in Real Life. This organization and drive to entertain and engage his Bros has lead PewDiePie to grow into the most YouTube subscribers, ever. Some YouTubers start series so their subscribers know exactly what to expect from the next video. This is important because even if you gain subscribers at a slow rate, your current subscribers will always come back and view your videos. As you make more videos, you will begin to understand your audience and get a bearing on what people want. 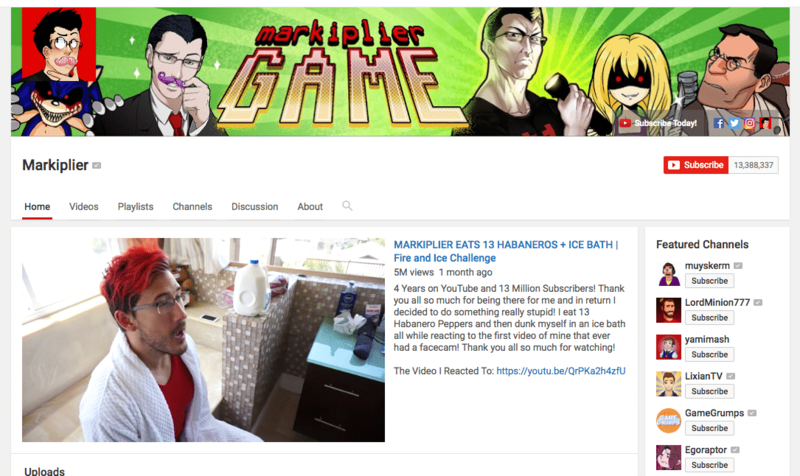 Having a large number of subscribers makes a channel seem more credible. Any viewer can see how many subscribers a YouTube channel has. Viewers tend to watch videos that are popular and have a lot of views. This is also true for subscribers who are more willing to subscribe to a channel that already has a large amount of subscribers. Within YouTube gaming, people want to be aware of every successful YouTuber – no one likes being the last one to a party. One trick you can use to get viewers to click subscribe is to cushion your videos with an artificially high view count. You can give yourself a kickstart by buying views. Buying views you will make your video appear more authoritative, and will get the ball rolling for organic views and subscriber growth. If you’re interested in using this trick to add views and subscribers fast and avoid some headaches, make sure to check our reviews of the top 5 places to buy YouTube views. Want to safely buy YouTube subscribers? Everyone from PewDiePie to Beyone, according to studies, have purchased YouTube subscribers before. These same companies that sell YouTube views also sell subscribers, so be sure to keep your account safe and only order from them! These kinds of videos contain gameplay footage with a voiceover by the YouTuber. The audio from the video game is muted and the video only includes the YouTuber’s voice, who discusses a topic relative to the game. People view these videos not necessarily because of the gameplay footage but rather the gameplay footage is more of a visual to look at while you listen to what the YouTuber has to say. For vlog videos, people are not just coming back for the game footage you capture but because of the personality or persona of the YouTuber in the videos. This is where you become a brand and identify with your viewers. For talk and news shows, YouTubers inform the viewer about some kind of news and give their opinion about the topic. 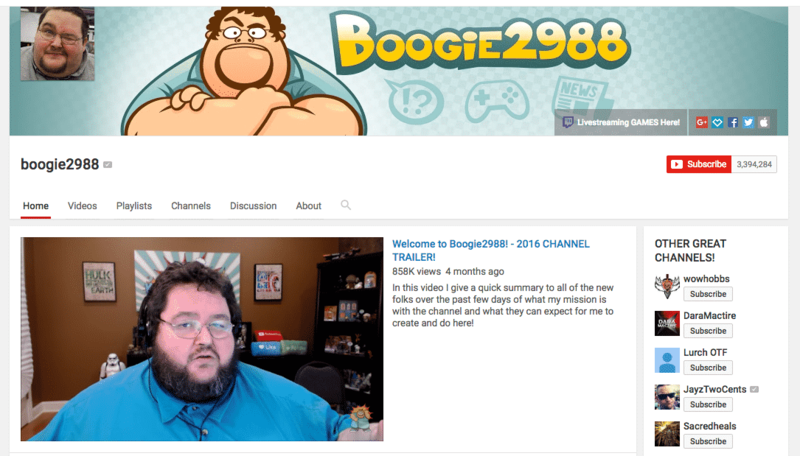 An example of this video style is Boogie2988, who records himself discussing games as well as comedic skits to his enormous fan base of over 3-million subscribers. These videos are more information-based. Sharing knowledge to gain some kind of advantage or solution to a video game is a common practice. These videos can be thought of as educational and professional. However, as a YouTube and gaming personality, you can edit and format the video in a fun and entertaining way so the viewer learns something but at the same time is also entertained. This is an older type of video that has been working since even before YouTube got really popular. These type of videos are a compilation of gameplay footage showing particularly spectacular moments, normally with high-quality editing and appropriate background music that matches the mood of the highlights. Viewers love these type of videos because it shows non-stop footage of the most enjoyable moments of gameplay. If you actually play the game, those instances may be a rare occurrence which makes them so fun to watch. 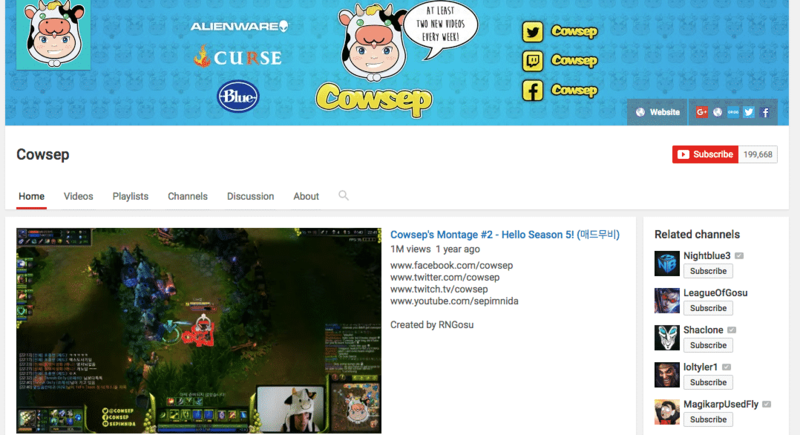 Nightblue3, Imaqtpie and Cowsep are a few of the major YouTube channels that feature montage and highlight clips. “Let’s Play” is another popular type of video on YouTube. In these videos, the YouTuber will play a video game and record themselves with a microphone and camera. They can be seen over the gameplay footage taking a small portion of the screen. Viewers are entertained watching someone else play a video game rather than just the actual gameplay content. They are basically video game reaction videos, where the viewer is entertained by the player’s comments and reactions. Gamers like to see creative ideas that YouTubers come up with in relation to the game. For example, a video game can have a main protagonist who saves the world from evil and destruction. You can create an alternative story of the protagonist, a video of what would happen if he didn’t save the world and instead took a vacation and what the consequence would be in that video game universe. Because fans of that video game enjoyed their game experience, giving them a twist to the storyline can be interesting and compelling. 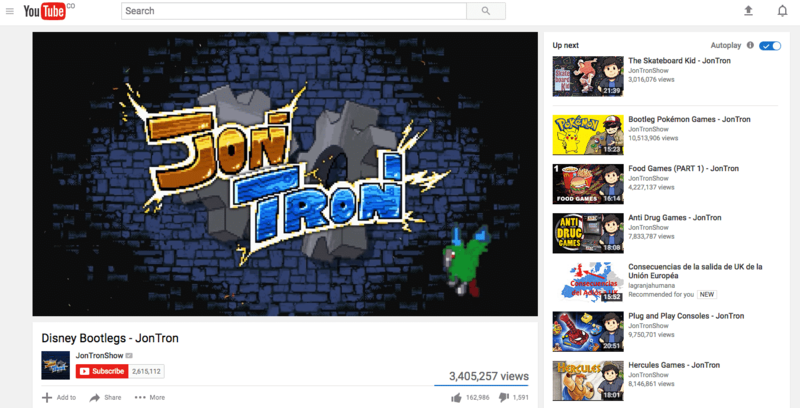 JonTron is a channel that features very funny and entertaining skits. 6. Live the culture and have fun! To make it big in the YouTube gaming universe, you need to remember to have fun, keep up with the community, and live the gaming culture. If you’re attempting to make a living from a YouTube gaming channel, you must have a true passion for the topic. Viewers want to see someone who truly lives the gaming culture. When you try to do any kind of work for a living, you tend to look at what makes money and what works. The problem is, when you mix your interest of gaming and making money, sometimes you lose yourself to the money. It can become a business, but remembering why you started should always take the forefront. Gaming is a hobby and culture. Being a YouTuber, you are making content to entertain people. Remember, whenever there is something you want to do, somebody else has tried and succeeded at it, so learn from them. Watch other YouTube videos and get a sense of how they’re made and edited. Get a sense of what the viewers want to see. Above all, deliver something that your viewers haven’t seen before. Talk like a true gamer and live the culture. Creating content is as simple as thinking of something interesting to discuss. Maybe there is a new game, or a new style of play that gamers are not accustomed to yet. Use your style of video and talk about it like you’re having a conversation. YouTube gaming is a competitive yet rewarding field if you are willing to put in the work. The most successful YouTubers work extremely hard to grow their channel and keep producing a steady stream of relevant videos for their audience. If you truly want to succeed and make your passion into a living, remember to work hard, keep your quality consistent, engage with fans and be yourself.